It has become customary in recent years to greet any successful Woody Allen venture with the description "a return to form," but that seems like a strange way to talk about a filmmaker who scored his biggest commercial success and won an Oscar just two years ago. Nevertheless, Blue Jasmine can be regarded as a return to a different kind of form for Allen, the form of his darker '90s pictures such as Husbands and Wives and Deconstructing Harry. It also marks an interesting shift of focus for the director. 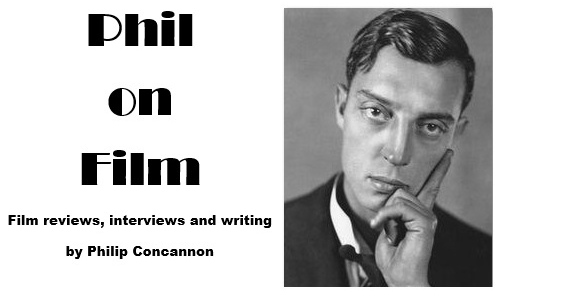 Allen's films are often ensemble pieces, from which one or two players might step forward to steal the limelight, and it's hard to recall any comparable film from his body of work that's dominated by a single central performance as this one is. The problem is that such an approach works to the detriment of the other characters. Too many of Woody Allen's films in the past have attempted to coast by with thinly-sketched characterisations, but the sense of weight that Cate Blanchett brings to Jasmine in this film only throws the flimsiness of the supporting players into even starker relief. While Jasmine is given many layers of emotions and complexities, the characters that surround her are left with only a single note to play throughout the picture. There's a weird disconnect between the attempt to find a sense of Cassavetes-like immediacy in Jasmine's breakdown (at times Blanchett bears an eerie resemblance to Gena Rowlands) and the sheer phoniness of the world she inhabits. The world, in this case, is a new one for Allen. 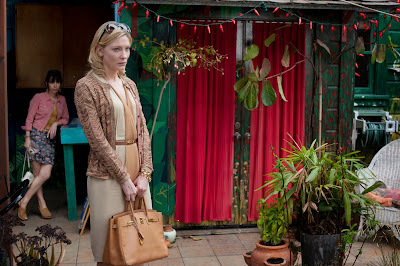 Blue Jasmine is set in San Francisco, where the title character has arrived from New York after suffering a breakdown. Once a New York socialite, Jasmine has now been left penniless and directionless after the revelation that her husband Hal (Alec Baldwin) had been indulging in some financial double-dealing, and she intends to rebuild her life with her adopted younger sister Ginger (Sally Hawkins). The template here is clearly A Streetcar Named Desire, with Blanchett's arrival driving a wedge between Ginger and her blue-collar fiancé Chili (Bobby Cannavale). She does this by barely attempting to conceal her distaste for their working-class lives and by making every situation into more fuel for her own narcissism. She's a monstrous creation, who we first see on a plane telling her whole life story to the unfortunate soul trapped in the seat next to her. She gets to escape as soon as the plane lands, but we're not so lucky. By the time the film had finished, I knew how that woman felt. Blue Jasmine can be quite an exhausting experience, not just because of the wholehearted effort that Blanchett is putting into every scene, but because the writing and direction is afflicted by so many of the flaws that have plagued Woody Allen's most recent films. His view of both the high social circles Jasmine moved before the fall and the more modest surroundings she finds herself in is simplistic and clichéd, and his storytelling devices hinge on the most hackneyed situations. The most grating of these instances occurs towards the end of the film when a chance encounter on a street precipitates another drastic change in Jasmine's circumstances, and the kind of baldly expositional dialogue that sounds like nothing any human being would say. It helps, at least, that this dialogue is being delivered by Andrew Dice Clay, with the erstwhile stand-up comedian proving to be an inspired choice to play Ginger's ex-husband Augie. Having been persuaded by Hal to plunge his lottery winnings into a Ponzi-type scheme, Augie burns with an unabated sense of anger, wounded pride and regret at his missed opportunities. Clay gives this archetypal character a sense of humanity that makes him the most empathetic character in the film. There is some fun to be had in watching Allen's talented ensemble make as much as they can out of the parts they've been given; Michael Stuhlbarg is amusing as a lovestruck doctor with wandering hands and Louis CK turns up briefly as a charming but untrustworthy lothario. But there's also an ongoing sense of frustration in how lazy and flaccid Allen's filmmaking has become. Blue Jasmine may be one of his more competent and sustained efforts in recent years, but a lot of that is down to the engine that Blanchett provides and the simple fact that years of disappointment have encouraged us to lower our expectations. The idea of Allen operating a more acerbic and serious mode might be an appealing one to admirers of his Husbands and Wives, but it only serves to prove how little the director relates to the way real people talk and interact now. It's no coincidence, I think, that Allen's most recent success partly took place in a fantasy world far removed from our own.